For automakers, the challenge is creating culturally relevant ads that remain true to the brand's core message, whether in Spanish or in English. For any automaker selling cars in America, Latinos are the future. They're the fastest growing ethnic group and, already, they buy one of every four cars sold here. But, for now, this market is dominated by the Japanese. Toyota (TM) holds the top spot with almost 18% of the Hispanic car market. Honda and Nissan rank second and third, according to data from the auto market research firm Polk. Meanwhile, the domestics are getting trounced. The top-ranked domestic brand, General Motors' (GM) Chevrolet, ranks fourth with about half the market share of Toyota. 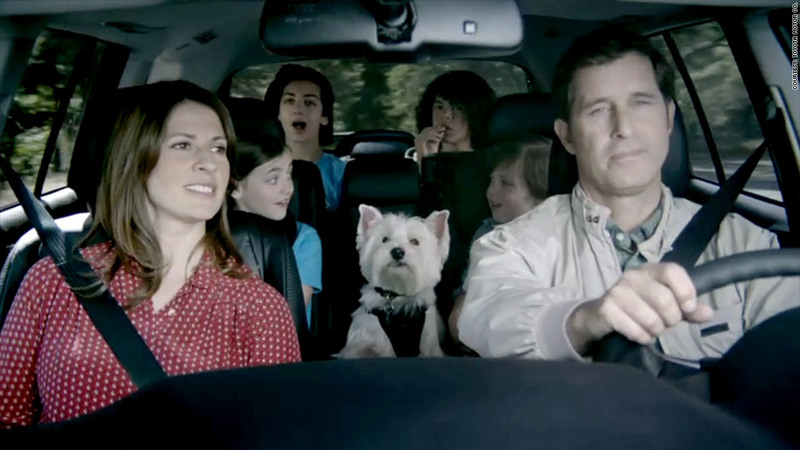 Toyota credits a long history of marketing directly to Hispanic consumers for its success. "I think the Hispanic consumer has been a longtime loyal consumer because we have been a longtime loyal listener," said Toyota Spokesman Luis Rosero. Toyota has long marketed to Hispanic Americans in both English and Spanish and has, for over 20 years, made a point of donating money to non-profit groups that work with Hispanics and African Americans, Rosero said. The problem for Chevy, according to Rich Martinek who heads advertising for Chevrolet, has been less its ads than its cars. Small cars, in particular, do well among Hispanic consumers. Asian automakers like Toyota, Honda and Nissan, have long been known for making good, inexpensive small cars. In fact, the two top-selling cars among Hispanics are the Toyota Corolla and Honda Civic, according to Polk. Up until recently, Chevrolet dealers had been selling cars that just couldn't compete, like Cobalts and Aveos, Martinek's said. Those cars have now been replaced by the Chevrolet Cruze and Sonic. "These are really strong, competitive products," Martinek said of Chevy's new models. 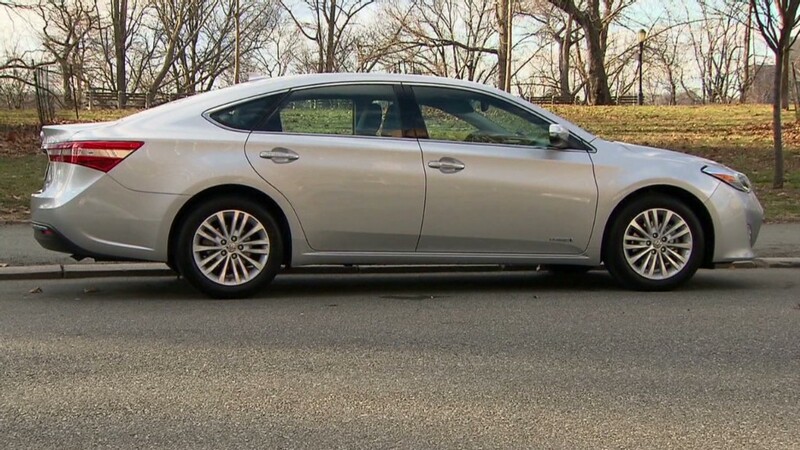 Unlike the previous options, they have earned recommendations from Consumer Reports, which is generally regarded as the most influential magazine among car shoppers. On another hopeful note, Hispanics actually like Chevrolet more than most Americans, Said Martinek. While about 29% of Americans overall think of Chevrolet cars as "excellent," more than 39% of Hispanics do, according to Chevrolet's own market research. Still, Chevrolet's market share among Hispanics has not made much headway in recent years, according to Polk data. Chevrolet says it's working hard to attract more Hispanic buyers. But targeting a specific demographic can be a tightrope walk. While automakers strive to create culturally appropriate ads in English and Spanish for the Hispanic market, they have to make sure the ads still carry a consistent brand promise. Car buyers shouldn't see Chevrolet as standing for one thing in Spanish and another in English. "Your brand is your brand," said Chiqui Cartagena, vice president of corporate marketing for the Spanish language TV network Univision and author of the book Latino Boom II. Still, the brand should be culturally relevant, she said. The Hispanic market is different in ways that go beyond language, said Cartagena. Passions and emotional touch points are different and marketing has to reflect that. Hispanics view the car shopping process differently, said Cartagena. First of all, it's viewed as something enjoyable, not as a dreaded but unavoidable descent into a world of contentiousness and deceit. Second, it's not seen as an experience to be enjoyed by one person alone, she said. "These auto buying experiences are more of a family experience," agreed Marc Bland, head of diversity and inclusion at Polk. When it comes time for the new car to be delivered to the customer, often a whole family, including multiple generations, will be on hand at the dealership to see the keys getting handed over, he said. Martinek is confident that Chevrolet will do better in the Hispanic market. For one thing, the Chevrolet Silverado pickup, already the brand's top-selling product with Latinos, is about soon to be released in an all-new redesigned version. "Between the small cars and the Silverado," he said, "we definitely have to grow." Toyota isn't about to loosen its grip, though, said Rosero. This market has become too important to Toyota. "It's had a measurable impact," he said, "and there's a bigger one down the road."